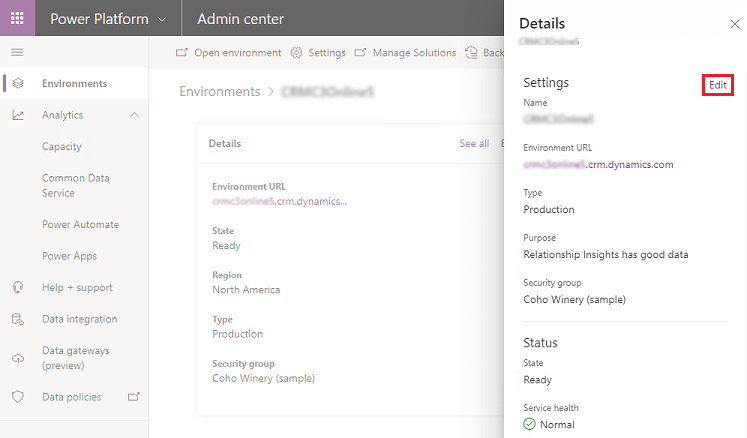 You can view and manage your environments on the Environments page. 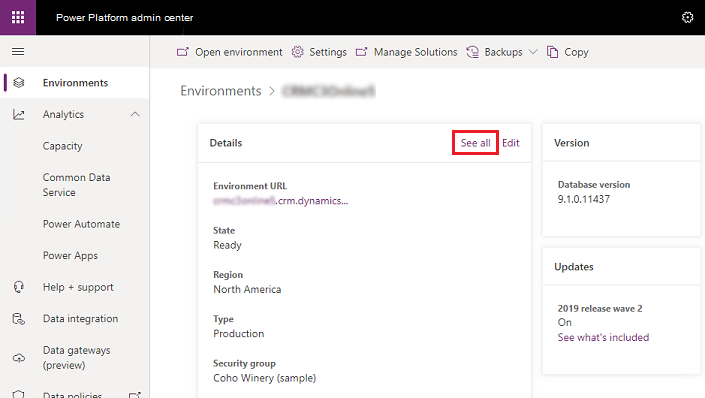 You can sort and search the list of environments - useful for those of you with a large number of environments to manage. You can see some the details of your environments by selecting an environment. Select See all to see more environment details. Select Edit to review and edit all your environment details.